Last night, I had the pleasure of working with three fantastic women as I led them through a painting workshop at Morgantown Market. 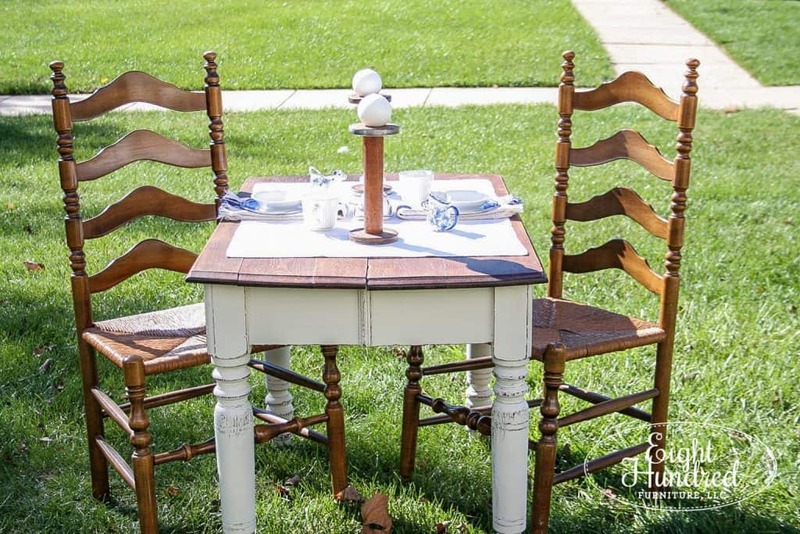 Each woman brought her own piece and together, we transformed them using Rust-Oleum’s Chalked Paint. Because there were only three participants and myself, it was the perfect opportunity for one-on-one attention and lots of questions. 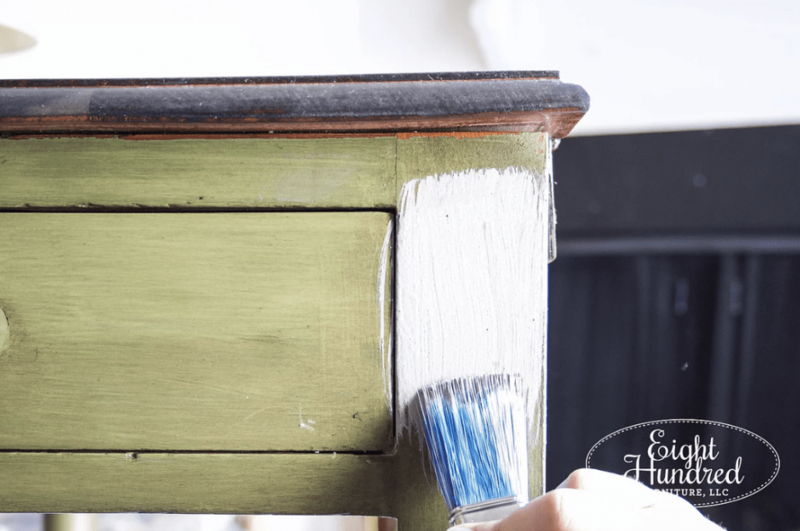 One that always pops up in any workshop that I teach is “How long does this take to dry?” It brought up a good topic of discussion when it comes to painting furniture – dry time vs. cure time. 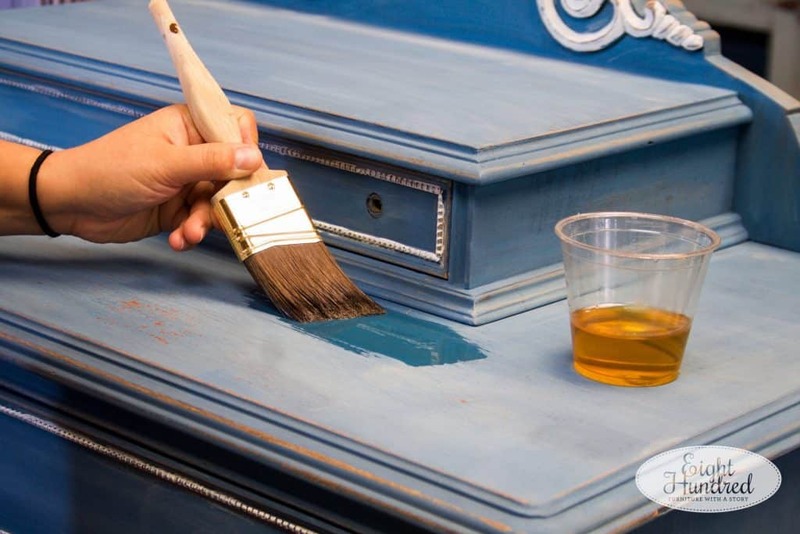 When you paint anything – walls, furniture, picture frames, etc., paint always dries from the top down. The top dries first because it has the most exposure to the air. While your paint may feel dry to the touch, it may still be fragile and vulnerable to scratches, dings, and scuffs. Think about nail polish. When you get your nails painted, you have to wait until the polish dries completely before you get your keys out of your purse and go home. 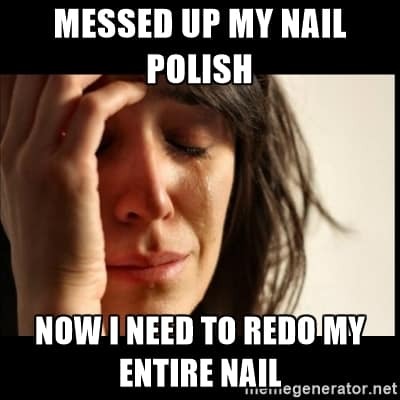 Sure, there are sprays and dryers to help speed up the process, but you still have to be fragile until the polish has completely cured…even though the polish may feel dry to the touch. You all know what happens when you don’t wait! 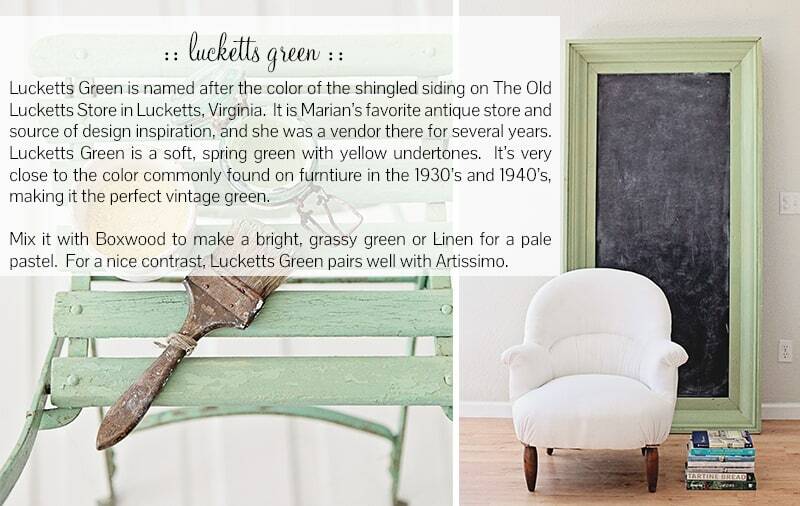 Furniture paint works the same way. You have to be patient and allow each layer of paint to completely dry before applying another. Read your labels! Most paint products tell you how long they take to dry. Some are 30 minutes, others are up to 2 hours. Now that’s how long they take until they’re dry to the touch. That’s not the same thing as cure time. Manufacturers also recommend a certain amount of time in between your last layer of paint and your top coat. Again, read your labels. Once your piece is all done – pained and protected – you should give it time to cure. Cure time is how long it takes your paint products to reach maximum durability. This is completely different than dry time. A piece could feel 100% dry but it may not be fully cured yet. This is especially important with wax finishes. 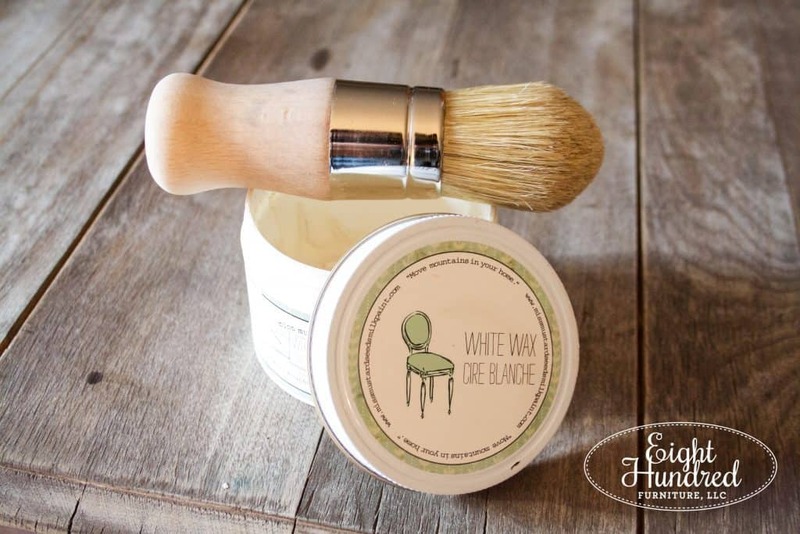 How many of you have waxed a piece of furniture and started using it immediately? Did you get any scuff marks on it? Did you nick it accidentally and gouge your wax? I’ve totally been there. This happens because the wax didn’t have enough time to fully dry let alone cure. I’ve heard a few people over the years say that they don’t like using wax as a finish because it doesn’t protect very well. 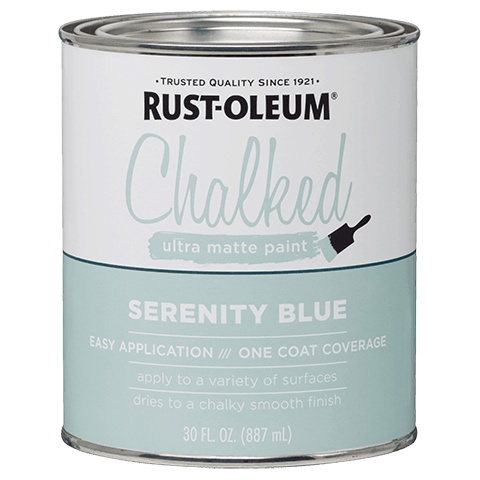 My next question is always, “How long did you let it cure before you started using it?” The answer is usually less than the manufacturer’s recommendation, hence the blemishes in the finish. There’s usually nothing wrong with the product itself. We just use it incorrectly and get frustrated when we mess it up. Now all of this doesn’t mean that you can’t use a piece until it’s cured. I just painted a dresser this morning in Miss Mustard Seed’s Lucketts Green and sealed it with Hemp Oil. Believe me, I’ve messed up my fair share of finishes over the years and I’m learning that patience goes a long way. 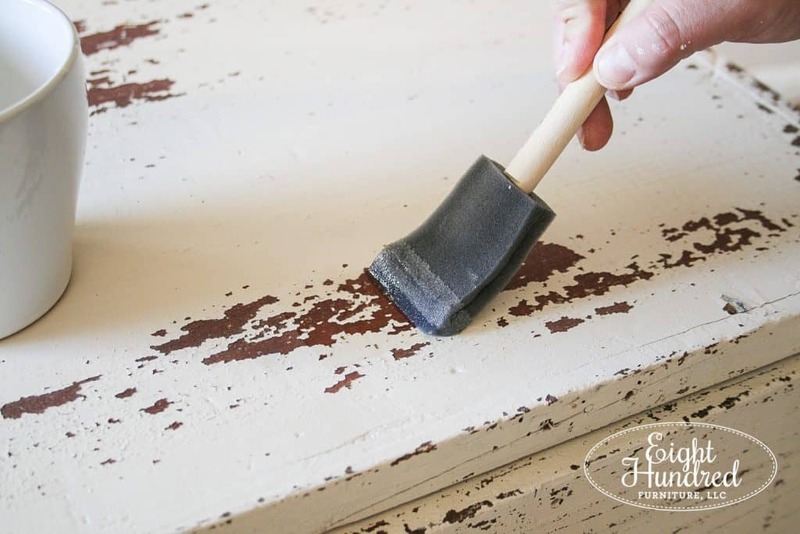 After all, once you’ve worked super hard on a gorgeous furniture makeover, the last thing you want to see is a scuff mark! You’ve poured time and effort into the transformation. Wait it out. Trust me, you’ll be glad you did in the long run! Previous Post: « A BIG Announcement!